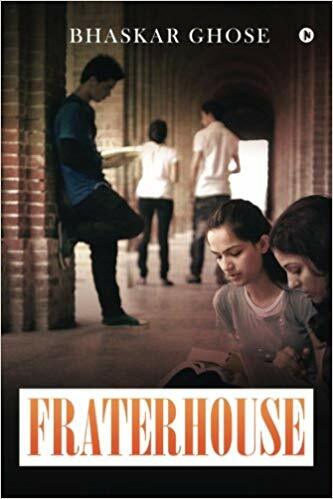 This book by Bhaskar Ghose, a former civil servant is about a college founded in the 1880s by a group of scholars from a monastic order based in Oxford. This is his fifth book. Two of the previous ones, Doordarshan Days and The Service of the State were non-fiction. The other two, The Teller of Tales and Parricide were fiction, like this one. Reviewing a work of fiction is a bit of a challenge. A work of non-fiction benefits, for instance, if the gist of the argument is discussed in the review. It does not really matter if the review is in support or not, as a discerning reader may well take an opposing stance from the perception of the reviewer and the consequent controversies help the sale. But in a book of fiction, say a mystery story, if it is revealed that it was the butler who did it, the author may stand deprived of a sale. It is an even bigger challenge to review a novel, where the protagonists are self immersed in English literature. A review must avoid sounding like that lyrical The Sound of Music score ‘how do you deal with a girl like Elisa’ and yet, as the book ended and the review started there swept into the mind’s eye, not the daffodil fields of yore but the remembrance of that earnest Bollywood producer, wanting to avoid providing collaterals for a loan on the plea that the movie would be a box office hit. The essence, he said, of success was the quality of the item numbers, the cast, catchy music scores and the locale…and perhaps…but yes, of course, you cannot have a movie without a story, a plot or a tale, or all three but preferably lightly wrapped so as to not distract the audience from the main issue of the cast, the music and the locale. This book could well fit that bill, composed as it is, with lyrically beautiful passages and pen portraits of modern day Guinevere but also Lynette and others. These can well compete with Leonardo’s ‘Lady with the mystic smile’. The locale too could well have been Camelot, now lost in the mists of time, but without either King Arthur or Merlin though you do find gently aging Lancelots, Gawains, Percivals busy telling their side of the story. But do red bricks a castle make? Mission College was about, as the much beloved and yet laughed about Rev ‘He who twice changed his name’ often said, in an altogether a different context, a norm—you were either above or on this side or the other but without the Reverend standing astride, it actually became the road that one was on or the other side of­—somewhat like the Blandings of pre war England visualized in the post-war years without Lord Elmsworth or the Empress of Blandings or Baxter anymore in view though with modern day replacements of Beach and G Ovens and Jno Robinson and others are still very much around. This book is somewhat like that. An unwary reader may be left bemused wondering much like the armour clad knight wondering why he is asked to compete in the Shropshire Market Fair when he had actually set out to rescue the Holy Grail. But perhaps, a more discerning reader may well find resemblances to St Augustine, of the ‘Lord, make me chaste…but not yet’ fame or then again, he may not, leaving unanswered the query of whether it is a story or a plot or a set of tales that he has read. TCA Ranganathan, an alumni of the Delhi School of Economics and a former CMD of Exim Bank, is currently a freelance writer.